Bachelor or Engineering (Electronics and Telecom), IIEST, Shibpore, Calcutta; Formerly B.E.College, Shibpore. Mukhopadhyay, S., & Bouwman, H. (2018); “Multi-actor collaboration in Platform Based Ecosystem: Reviewing Opportunities and Challenges’; editorial preface article for the special issue on “Platform Ecosystem” for the Journal of Information Technology Case and Application Research (Taylor and Francis, ABDC C). Chauhan, S., Mukhopadhyay, S., & Jaiswal, M. (2018). The adoption of mobile app for B2C transaction in platform marketplace: An empirical examination of key drivers. Journal of Information Technology Case and Application Research, (Taylor and Francis, ABDC C). Mukhopadhyay, S., Nikou, S., & Bouwman, H. (2016). ‘Why Controls are used in Platform Ecosystems? An AHP Approach to rank roles of control mechanisms in platform ecosystem. International Journal of E-Services and Mobile Applications (IJESMA, 2016, Volume 8, Issue 3). (IGI Global). Mukhopadhyay, S., & Gupta, R. K. (2014). ‘Survey of Qualitative Research Methodology in Strategy Research and Implication for Indian Researchers’. Vision: The Journal of Business Perspective, 18(2), 109-123. Mukhopadhyay, S. & Nath, P. (2000); “Decision Metrics for CRM Implementation”; a chapter in Customer Relationship Management: Emerging Concepts, Tools, and Applications, ed. Atul Parvatiyar, G. Shainesh; Tata McGraw Hill, Delhi. Mukhopadhyay, S., Nikou, S., & Bouwman, H. (20178); “Prioritising the roles of Control Mechanisms in Digital Platform: An Analytic Hierarchy Process Approach’, a chapter in the book Optimizing Current Practices in E-services and Mobile Applications, ed. Dr. Mehdi Khosrow-Pour; IGI Global. Mukhopadhyay, S., Dasgupta, M., & Jaiswal, M. (Dec, 2015). ‘Teaching Case: “Oxigen: Nurturing the mobile payment ecosystem in India”; Case Id- 9B15M124. (Ivey Publication of Richard Ivey Business School, Canada). 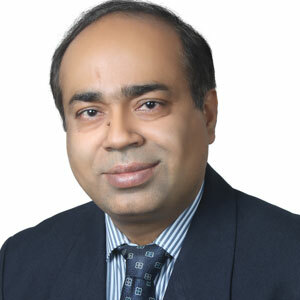 Senior technology and business consulting professional with experience of 22 years in a number of organizations like IBM, Siemens, Reliance, Ericsson and others. Successfully led assignments in a) consulting -in the area of business process, operation and IT b) large IT and process transformation programs and c) multi-vendor complex presales. Other than working in India, Sandip has successfully completed multiple international assignments in countries like Indonesia, UK, Mexico, China and others. Received multiple awards and recognitions from IBM for contribution to delivery excellence and business development.